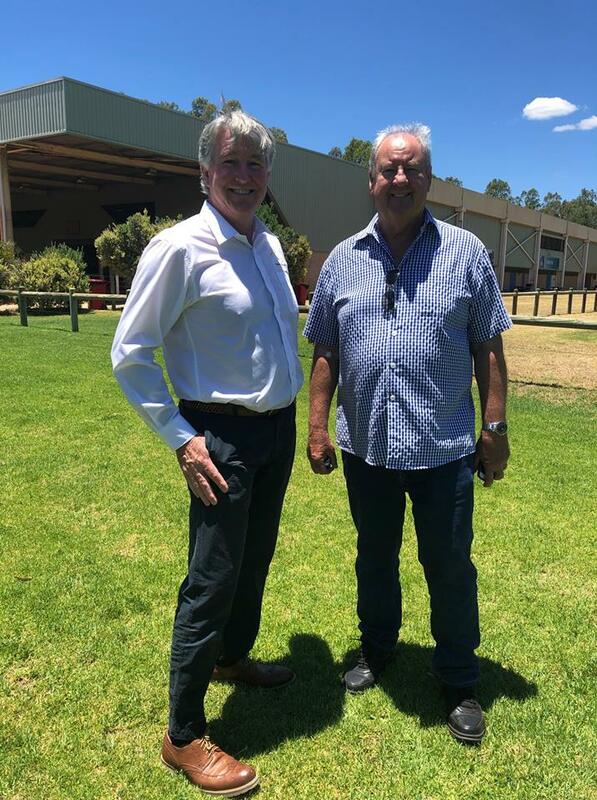 Hon Mick Murray MLA, Minister for Sport and Recreation Mick Murray together with the member for Swan Hills, Jessica Shaw visited the State Equestrian Centre to discuss the future of the facility. 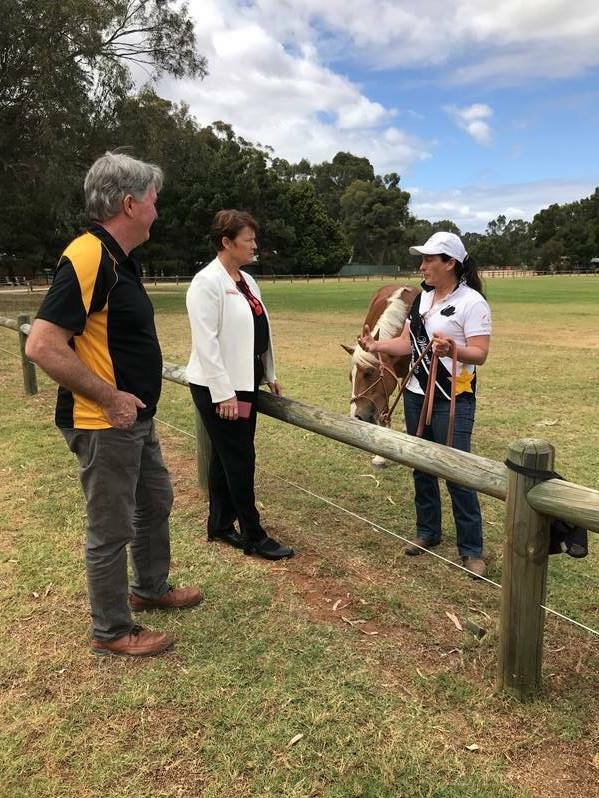 Shadow Minister for Racing & Gaming; Sport & Recreation, John McGrath visited the State Equestrian Centre yesterday and was very supportive of the #SaveTheSEC campaign. EWA Chair and CEO attended a meeting with Jessica Shaw, Member for Swan Hills at her office in Aveley. 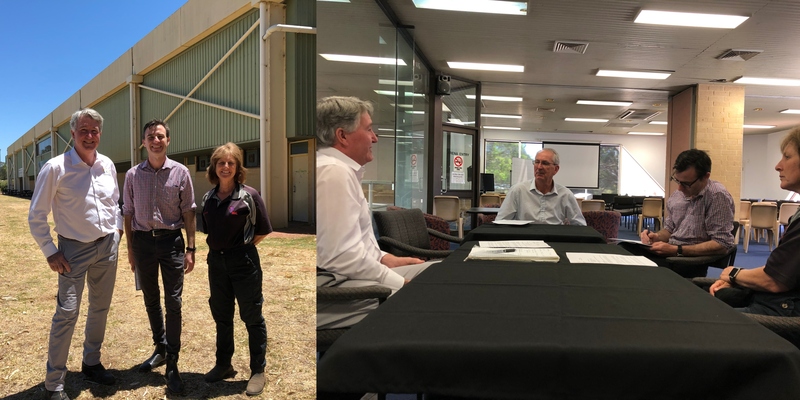 EWA Chair and CEO together with Kay Fowler from Brigadoon RDA meets with James Hasluck, Labor's candidate for Hasluck at the State Equestrian Centre. The running of the WA State Jumping Championships last weekend was the last major EWA Championship event to be held at the SEC this year. 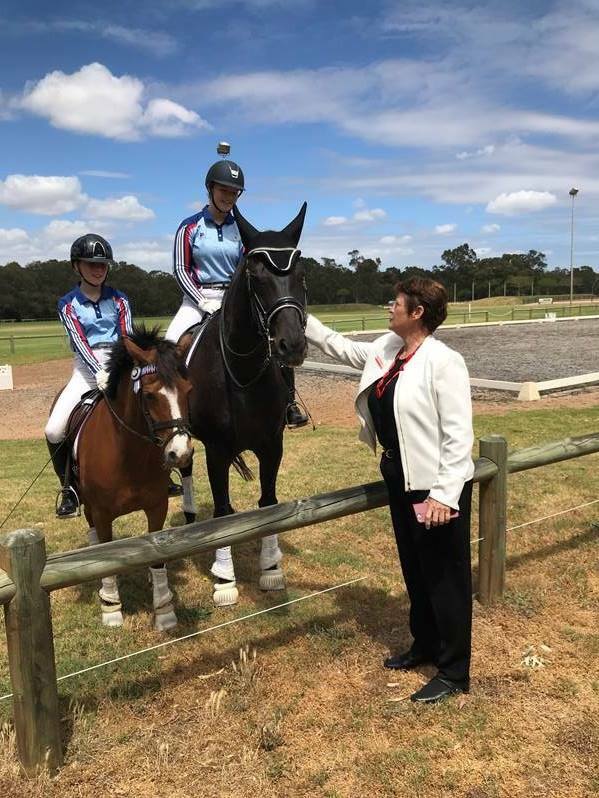 2018 has seen the running of the WA Interschools Championships, the State Dressage Championships, Combined training Competition, the Young Event Horse of the Year and the Eventing Grand Prix, State Jumping Championships and the successful Equestra extravaganza run by the EWA events manager with support of the Sport/ organizing committees. These events have been very successful for the sport and we look forward to going these events in 2019. 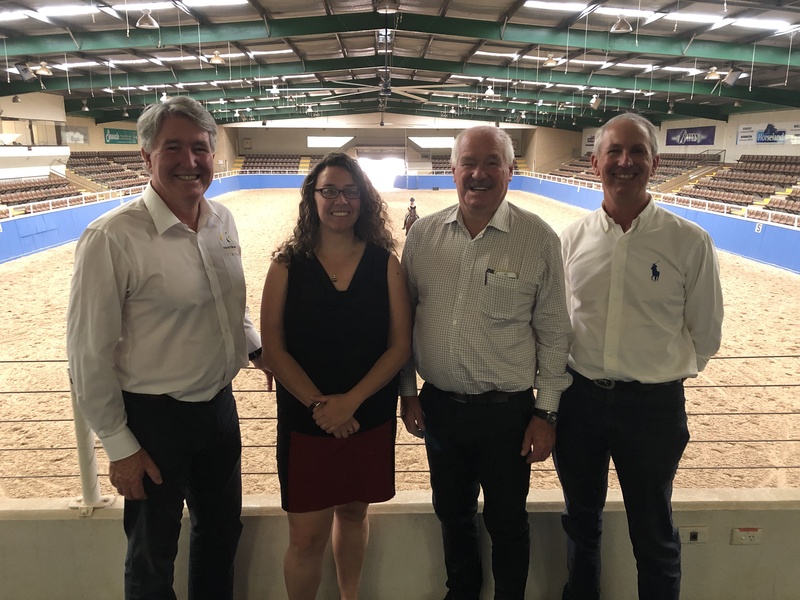 These events held at the State Equestrian Centre highlight the importance of the SEC redevelopment proposal EWA is currently pursuing, as the centre is only just suitable for these high-level events in its current condition. The expectation of the competitors, public and all equestrian enthusiast are now not always able to be met by such an old facility. 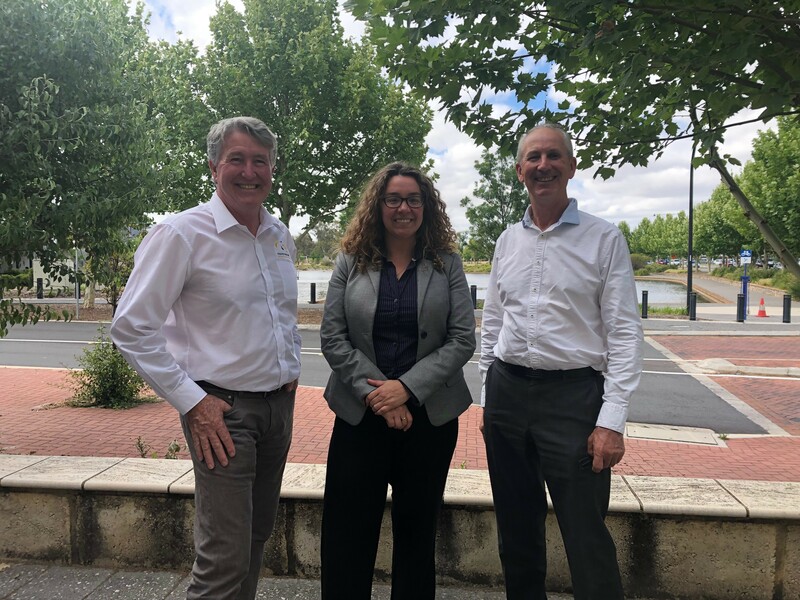 Ron Fleming (EWA Chair) and I have recently met with full City of Swan council to present the proposal and they have agreed to support the redevelopment and place it on their advocacy list. Christian Porter MP Federal member for Pearce visited the SEC last week to view the facility and be further informed about the proposal, he was most impressed with the facility and understands how much it means to the Equestrian community. Ron and I have also met with Cassie Rowe MLA, Belmont who was very supportive and has agreed to help support us. These meetings are just the latest in a series, we have met with Jessica Shaw MLA, Swan Hills and Lisa Baker, Maylands on several occasions over the past year as we finalized the Redevelopment proposal, their support has been most appreciated. More meetings are scheduled and once these are completed we will be asking for help from you to contact members of Parliament asking for their support. We will continue to keep you informed on our progress. ● Hon Christian Porter MP, Attorney-General, Federal Member for Pearce tours the SEC together with EWA Chairperson - Ron Fleming, EWA CEO -Dwight Pedlow, PCWA CEO- Trudi Hall and Kay Fowler from Brigadoon RDA. During his visit, he inspected the new EWA Machinery storage and Cross Country Jump storage shed which was funded by the Stronger Communities Programme grant. EWA had received $20,000 towards the total approximate $48,000 cost. ● The City of Swan has endorsed the proposal and have added the SEC Redevelopment Proposal to their advocacy list.